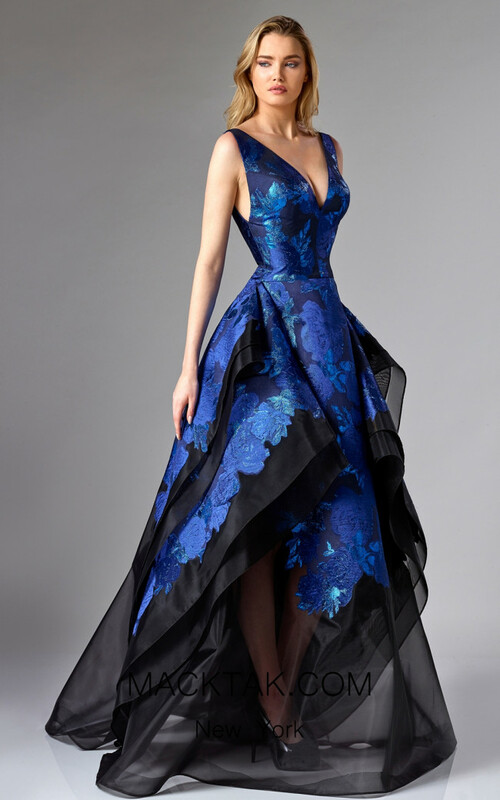 Mesmerizing décolleté evening gown by Edward Arsouni Couture. Look magnificent in this slightly resplendent Edward Arsouni evening gown. The v-neck décolleté sleeves bodice is radiant, complimented by a floral slightly shiny design. This Edward Arsouni Couture consists of an immaculate sheer lightly pleated high low full length evening gown that will turn heads. Wear Edward Arsouni to any one of your special occasions and be the center of attention. MackTak collections of evening dresses are the most exquisite and favorable dresses you will see. Let MackTak help you choose the perfect dress for you so everyone will be left restless to know who you are wearing and where you purchased it from, while making this event become one of your most memorable experiences.